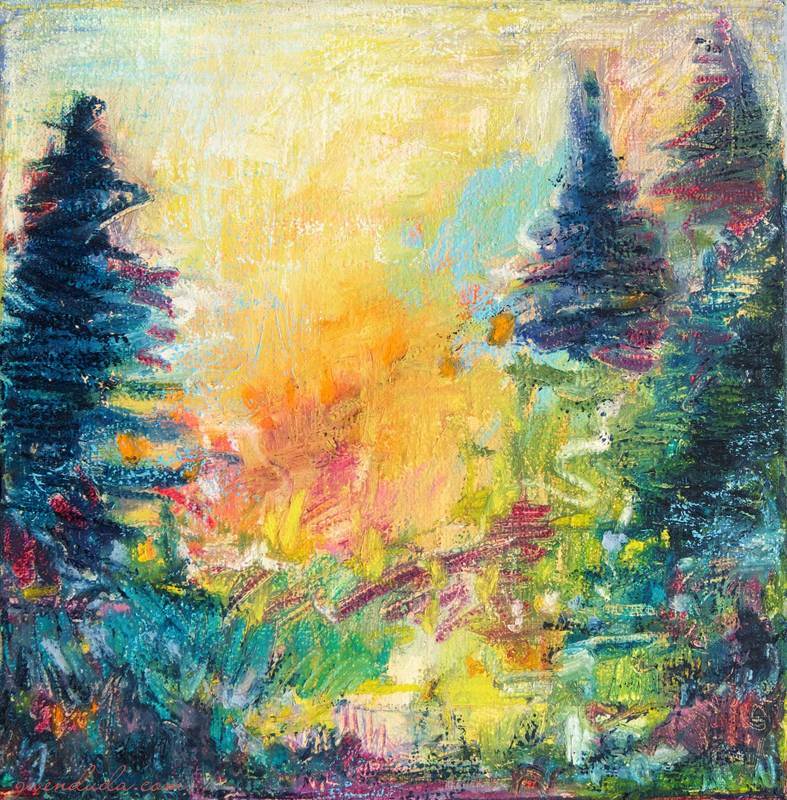 Titled "My Joy" this 12 x 12 inchlandscape abstract was done in oils over an underpainting of acrylic and is done in an abstract expressionistic style. Nature is the inspiration and the undercurrent of all my work. A tetradic palette of magenta violet, orange, green and blue was used. The colour is absolutely breath-taking! I am a colourist and even through subject matter is very important, colour and it's proper usage is pivotal to my work. Colour evokes the expressiveness of the piece and the resultant response in the one who gazes upon it. Painting is finished around the sides and it is wired and ready to hang as is or can be framed.